At Valley Community Counseling Clinic we believe in supporting the mother and baby relationship. Becoming a parent is a deeply stirring experience. Each pregnancy, birth, and unique baby is a new experience, filled with a variety of emotions and meanings for all involved. Rocky starts can happen for numerous reasons and mothering an infant is often filled with unexpected challenges, both internally and externally. At VCCC there is a place to think about what mothering (or fathering) is like for you, and to consider what emotional and physical challenges are present. 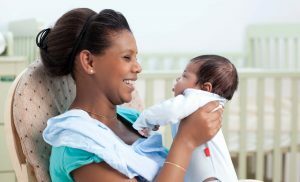 At times, even fairly common challenges (feeding issues, crying, sleeping issues) can have an impact on the relationship between parent and baby. Pregnancy or birth that has been traumatic for mother or baby also can make relating to each other fraught. A trained therapist can offer new understanding and support which can bring more satisfaction to both you and your baby. We also believe in the value of considering and thinking about what your baby is expressing. Surprising to some, and yet clinical work with children and adults shows that we form many attitudes about life and ourselves in infancy. As the saying goes, “an ounce of prevention is worth a pound of cure” certainly applies to getting help for you and your baby at this early point in life. Many feel that parenting should come naturally but in fact, there is a lot to learn and understand with each new baby. At VCCC we bring a nonjudgmental perspective, aimed at helping you and your baby relate to each other more positively.